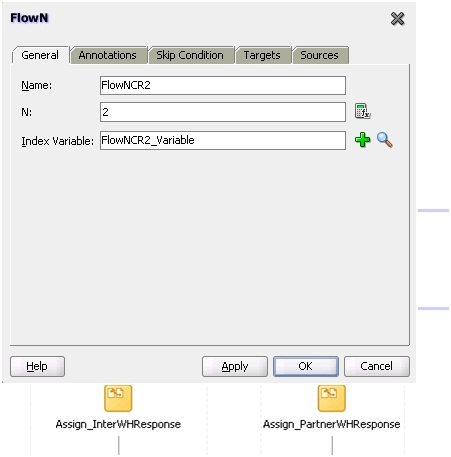 This activity enables you to create multiple flows equal to the value of N, which is defined at runtime based on the data available and logic within the process. 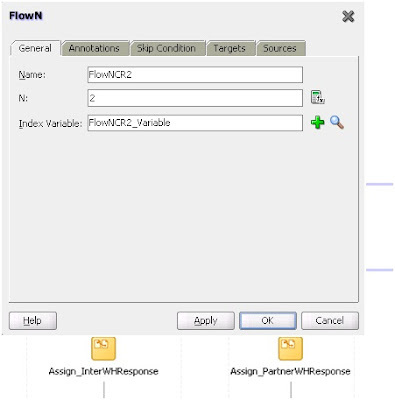 An index variable increments each time a new branch is created, until the index variable reaches the value of N.
This activity is replaced by the forEach activity in BPEL 2.0 projects. Figure A-16 shows the FlowN dialog.